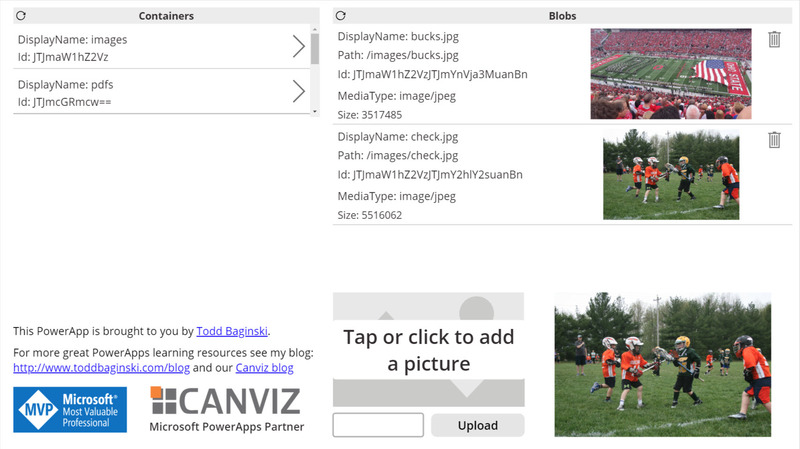 You can download the entire sample PowerApp I show in the video here. To install the PowerApp, download the export package and import the file into your PowerApps environment. 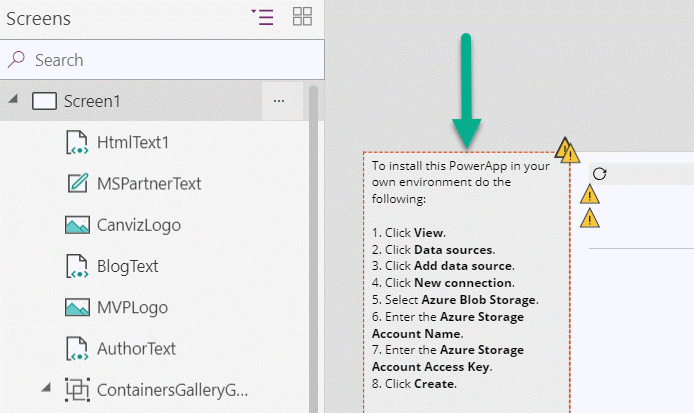 Then, follow the simple instructions to add the Azure Blob Storage Connector to the PowerApp. The instructions are visible in the PowerApp when you open it in the PowerApps editor (shown below).